Funny how Manchita’s big bottom doesn’t quite fit in Roxi’s bed. Manchita looks tough but Roxi is a bossy little terrier, and she’s also older than Manchita. We think Manchita is a Blue Pitbull, but without Roxi around she’s just a big baby. We bought their new camas at the weekend market on the Plaza Tupac Amaru. Unlike in the US, local markets still have a big economic significance here in Cusco. 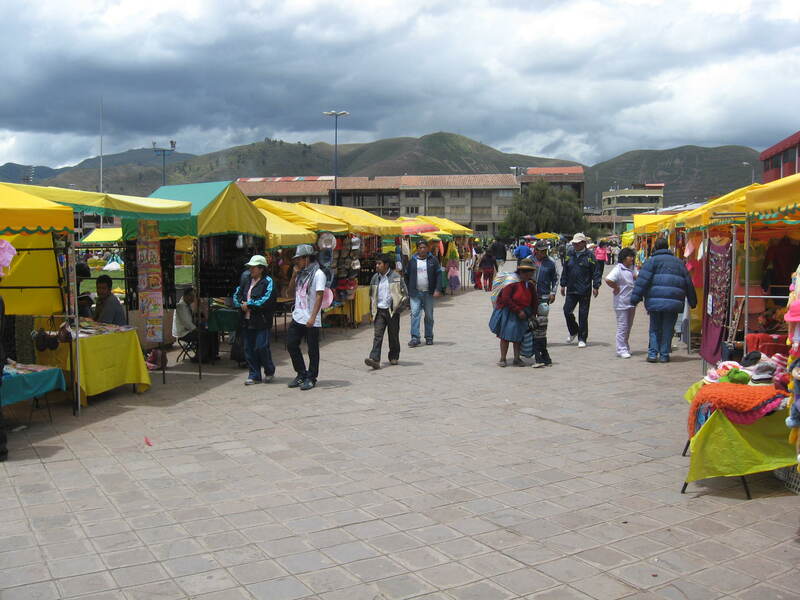 At the Plaza Tupac Amaru vendors sell anything from furniture to flowers, handicrafts, snacks, nectar de sabila, etc. Unlike the markets in the downtown area, this market is mostly for the locals, you typically only find a few gringos strolling around. 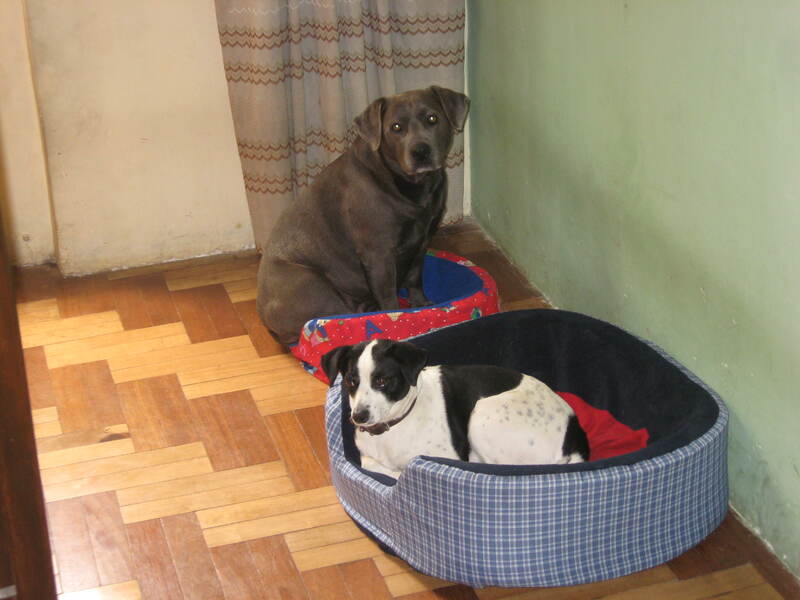 This entry was tagged Blue Pitbull, Cusco, dogs, Life in Peru, market, Peru, terrier. Bookmark the permalink.